PUPILS in Ponteland have honoured a former teacher by putting forward his name for a new development. 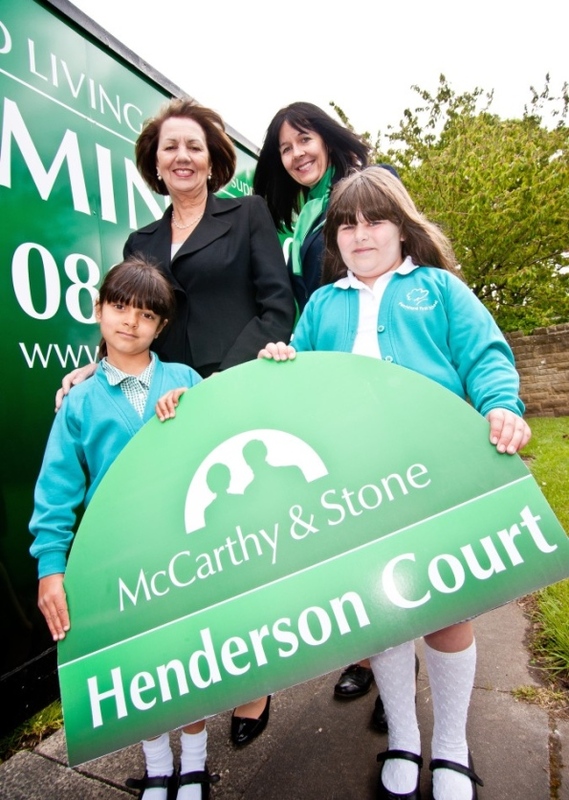 McCarthy and Stone's Assisted Living facility in the area has been named Henderson Court after Kenneth Henderson, who was appointed Head of Ponteland First School in 1975. At that time the school was in North Road, next to where the apartments for elderly people are being built. The company asked pupils at the school, which is now in Thornhill Road, to suggest a name for the development and both Lucy Naraine, five, and Alisha Ballantyne, seven, submitted Henderson Court. Mr Henderson was head teacher for nearly 20 years before retiring and was an influential figure. The girls' research also discovered that the Henderson family once ran a builders yard from the site of the former school kitchens. 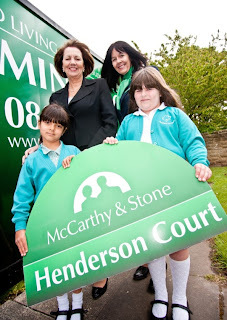 Regional Sales and Marketing Director at McCarthy and Stone Fiona Brooks said: "We pride ourselves on building communities and not just homes so we always aim to select names for our new developments that will have real meaning to the local residents. "Being able to work alongside the students at Ponteland First School has helped us to gain a better understanding of the Ponteland community as a whole and we have been really impressed by the amount of valuable research they each put in to coming up with some great names. "We chose Henderson Court as it clearly reflects a bygone era in Ponteland's history that is still important to the area's residents. "We really can't thank Lucy and Alisha enough for suggesting it." When complete, Henderson Court will provide 59 apartments for people over the age of 70 who might need additional assistance with their daily lives.